You’ve likely heard about the dangers of texting and driving, or the anxiety that too much social media can create if you’re constantly comparing yourself to others online. But there’s another less-obvious risk to overusing your smartphone that you may not have thought about: texting thumb. "The medical term for texting thumb is De Quervain’s tenosynovitis," explained Dr. Glen Jacob, MD, a hand surgeon at Geisinger Wyoming Valley in Wilkes-Barre. "The condition can make it hard to do anything that involves your hands, such as lifting, turning your wrist or making a fist." Excessive texting is one of the potential causes of De Quervain’s tenosynovitis, but it’s by no means a modern malady. It’s also been called "washerwoman’s sprain" and "mommy thumb," which is good evidence that the condition has been around for a very long time. It’s an injury that can happen anytime you overuse your hands and wrists, such as lifting a small child repeatedly or playing tennis and other racket sports. "People with De Quervain’s tenosynovitis experience pain and tenderness at the base of the thumb and into the side of the wrist," said Dr. Jacob. "It occurs when two of the tendons in your wrist become irritated from overuse." A tendon is a rope-like structure that stretches and contracts to create movement in your body. Normally, the two tendons in your wrist involved in De Quervain’s tenosynovitis slide back and forth smoothly in a tube or canal called a compartment. However, when they are overused, the sheath around the tendon gets inflamed. 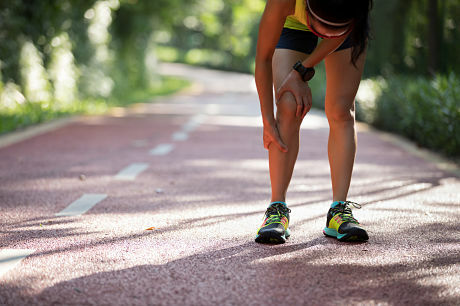 The tunnel around the tendon narrows and causes the tendon to rub when moving, which makes the inflammation even worse. As a result, you feel pain and may even experience a popping sensation when you try to move your thumb. A woman and a mother (but new dads are affected, too). Participate in hobbies that require repetitive hand movements, such as video gaming, gardening and tennis. 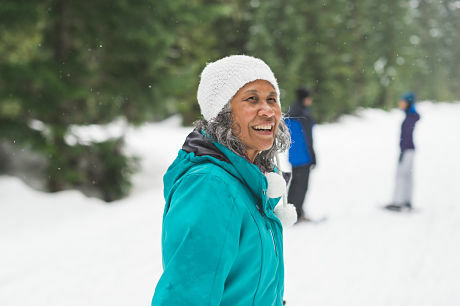 "While certain people are at greater risk because of their lifestyle, job or hobbies, anyone can experience the condition if they frequently perform an activity that requires repetitive motion of the hands or wrist," said Dr. Jacob. If you’re experiencing symptoms of De Quervain’s tenosynovitis, it’s not a good idea to ignore them and hope they’ll go away. Usually, the opposite happens; the symptoms get worse if left untreated. Fortunately, the evaluation of the condition is easy and non-invasive. Your doctor or a specialist will simply bend and maneuver your hand and wrist to determine what causes pain and the nature of your symptoms. Based on the results of this test, your doctor will be able to determine a diagnosis. 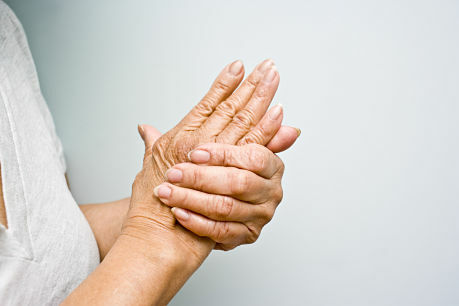 If you do have De Quervain’s tenosynovitis, conservative treatment is usually effective. It may include anti-inflammatory medications and a corticosteroid injection to help reduce the inflammation. You may also be provided with a brace to immobilize your wrist and thumb. 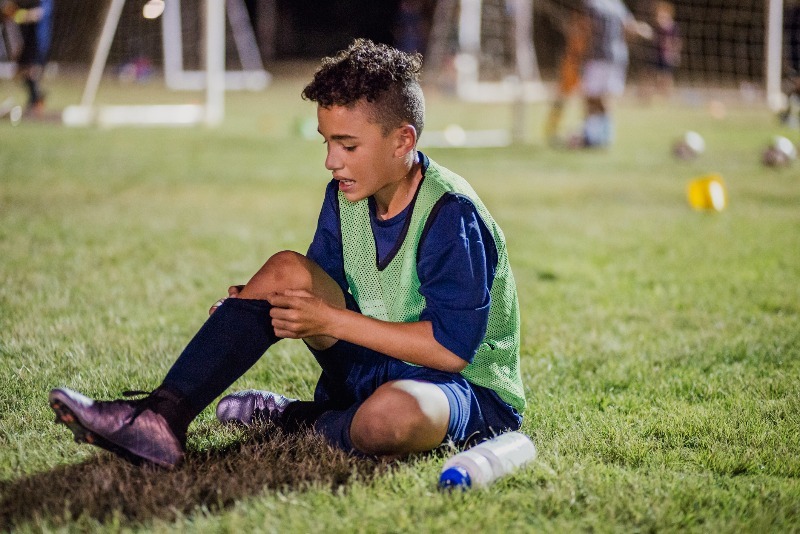 In some cases, you’ll also need to visit a hand therapist who will teach you exercises that will help strengthen your muscles and reduce future flair-ups. "In rare cases, surgery may be required," said Dr. Jacob. "However, the best approach is to start with the least invasive treatment, which works for most patients." Dr. Glen Jacob, MD, is a fellowship trained hand surgeon at Geisinger Wyoming Valley in Wilkes-Barre. To schedule an appointment with Dr. Jacob or another Geisinger orthopaedic specialist, call 570-275-6401 or visit Geisinger.org.